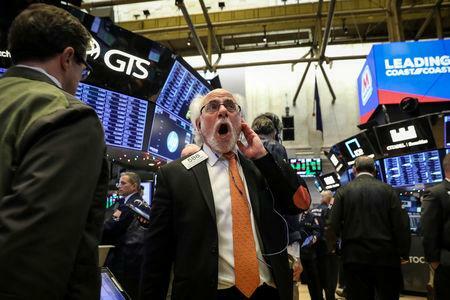 NEW YORK (Reuters) - U.S. stock index futures fell late on Wednesday, following the previous session's dramatic sell-off and lingering worries over trade and economic growth. S&P 500 e-mini futures <EScv1> were last down 0.7 percent, with volume at 66,034 contracts. "We've got a very narrow path for the bull," Paulsen said. "People aren't talking about it, but in some sense the primary problem is stagflation. It's a problem that you've got people worried about too hot and too cold at the same time."